The world has more TV and movie streaming services than ever before, but not everyone can access the same content on the same services. Due to licensing agreements, geographical restrictions and regional audience preferences, major streaming services have different catalogues based on the country the user is in. This means that while Netflix subscribers in the US may be able to watch a certain movie, it’s not necessarily available on the South African version of Netflix. Meanwhile, some services have extensive catalogues that can be confusing to browse. So how can you check whether a movie or series is available to stream locally on the services you subscribe to? There’s a handy website you can use – and here's how to use it to see which shows are available on Netflix SA and Showmax. 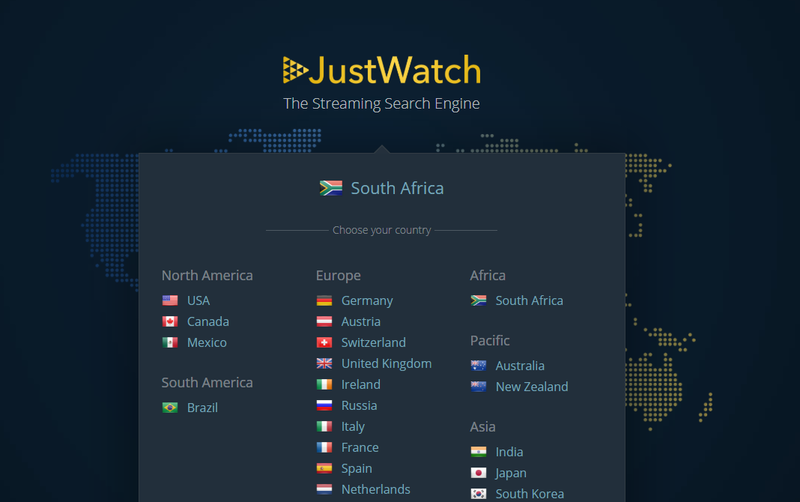 JustWatch is a streaming service search engine that allows you to check the content catalogue of streaming services in different regions. The website will automatically detect and suggest your region based on your IP address, but you can also select another region if you want to browse other catalogues. To get started on checking South Africa’s services, click the link for the country. This will take you to the regional site for JustWatch. 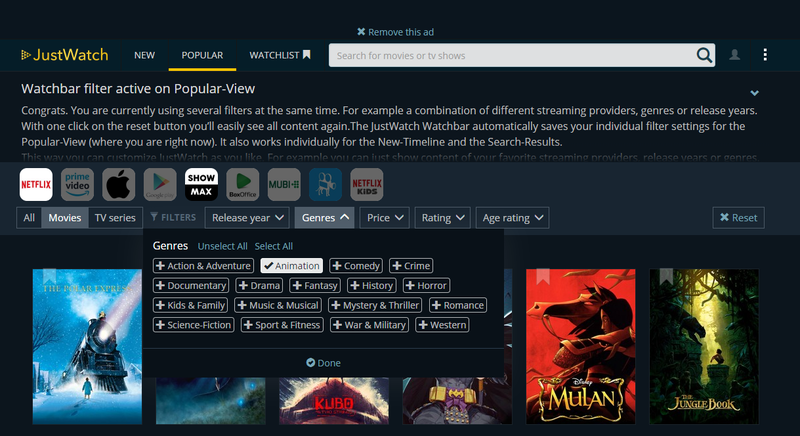 You are able to select which catalogues you want to browse in the filter bar above the images of movies and TV series. Below you can see that we have selected both Netflix and Showmax. Selected services are highlighted and the list of movies and shows will change accordingly. Next, you need to apply filters that will help you sort through the catalogue. You can adjust whether you want to see all content available, only movies or only TV series. Other filters you can apply include the release period, genre, price, user rating and age restriction. If a movie or series catches your eye, click on the thumbnail to find out more about it. Additional information can include the service(s) it is available on, the streaming resolution, ratings and related shows that may interest you. 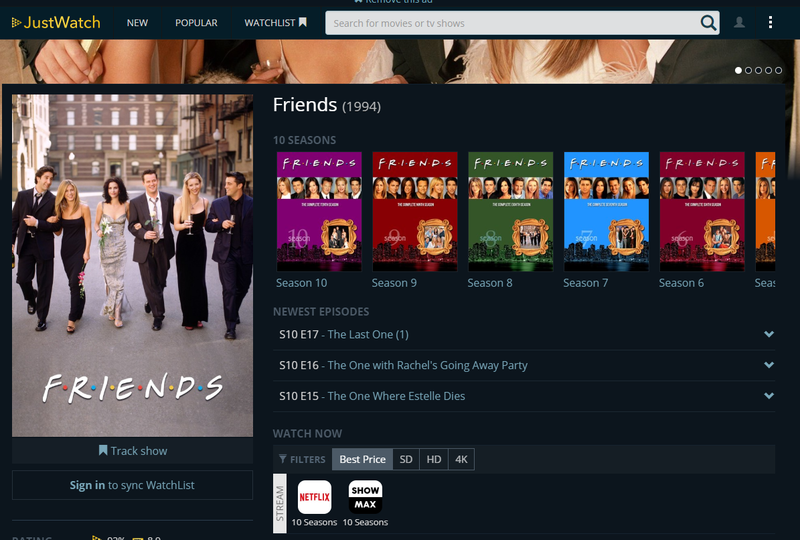 In the case of a TV series, JustWatch will also let you know how many seasons there are and how many of them are available on a particular service. 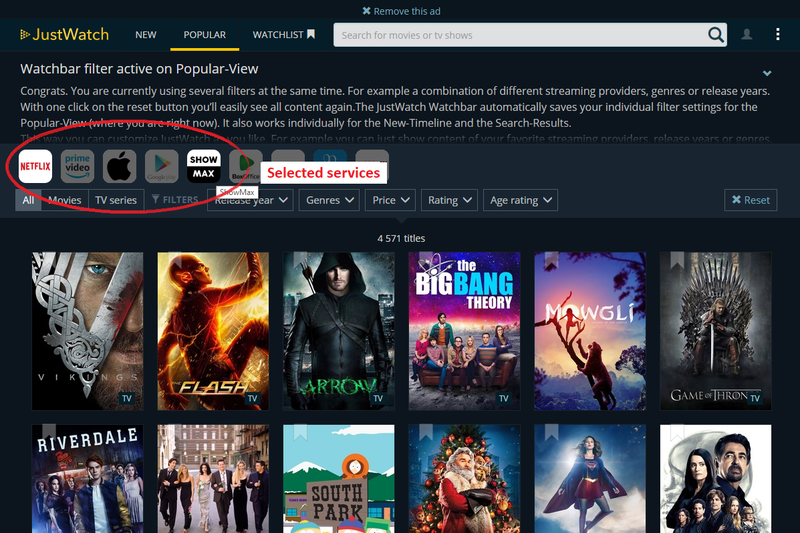 If you want to continue browsing the list of series and movies, simply press the back button on your browser and continue looking through the list. Add Netflix and Showmax to your Vodacom bill and stop missing out on exclusive Netflix Original series and films, featuring some of the world’s biggest stars.